ECO Scheme rules changed on 1st October 2018 and some householders may no longer qualify for a grant. As part of its policy on climate change, the UK Government has agreed to legally binding international commitments to reduce potentially harmful emissions caused by the production of energy from fossil fuels. At the same time, the Government has set targets to reduce fuel poverty by helping low income households to reduce their fuel consumption by installing energy efficient central heating boilers. Under the Affordable Warmth Obligation, if you satisfy certain criteria relating to state benefits and the condition of your existing central heating system, you may benefit from a Free Boiler. 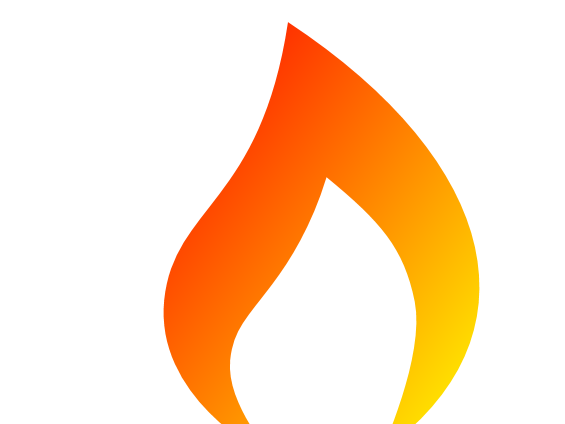 Due to current funding restrictions for the Affordable Warmth Scheme some householders may be asked to contribute to the cost of installation. Consequently, not every applicant will get a free boiler. The installer not be able to advise you of this until after your free survey has been carried out. The value of Free Boiler Grants are based on the type of property you live in, how many bedrooms it has and several other factors. 1. You live in your own home. 3. You must have a boiler installed in your home which is broken. Child Benefit is subject to maximum household income threshold. Click HERE for more detailed information about the Free Boiler qualifying criteria. If you receive a Free Boiler Grant, you will not have to repay it at any time, even if you move house. Do Householders in Privately Rented Homes, Council Houses and Housing Association Properties qualify for ECO3 Grants? YES but qualifying criteria and products available are different for householders in this type of property and they are unlikely to qualify for a free boiler. Householders in social housing (council and housing association properties) may qualify for insulation grants if the property has an EPC (Energy Performance Certificate) rating of E, F or G. ECO Grants are also available for the installation of central heating systems in social housing properties BUT ONLY WHERE the property has not had a central heating system installed before, i.e., first time installations. Householders in privately rented homes may qualify for ECO3 heating system grants and insulation grants but NOT to replace broken heating systems. 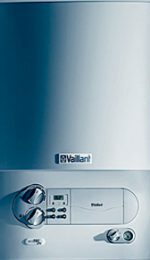 Free boiler grants to replace broken boilers are not available to private tenants because it is the landlord’s responsibility to provide a working heating system. However, currently we can only process applications for grants awarded under ECO3 for home owners. How does the Free Boiler Grant Scheme work? The Government has set targets for the large energy companies to reduce their carbon emissions from energy production. As part of this commitment to carbon reduction, energy companies have provided funding to pay for more energy efficient heating systems and better insulation in qualifying homes, including a free boiler in some cases. In this way qualifying households will use less energy and therefore emit less carbon dioxide, thus helping energy companies to meet their carbon reduction targets. The Electricity and Gas (Energy Companies Obligation) Order 2012 was passed by Parliament in December 2012 and it set up the ‘Energy Companies Obligations’, referred to as ‘ECO’. The Affordable Warmth Scheme is part of ECO. The original ECO Scheme was intended to run until March 2015 but was extended for 2 years as ECO2, to March 2017. The current ECO Free Boiler Grant Scheme started on 1st October 2018 and will run until March 2022. The Affordable Warmth Obligation provides funding for households which may be suffering from fuel poverty to apply to have a free boiler and free home insulation installed. The way the Government has decided to target homes is by reference to them receiving certain state benefits. Will funding for Free Boiler Grants run out? In a word YES, even politicians believe that there isn’t enough ECO funding for free boiler grants for all those who qualify. In an answer to a question by Caroline Flint MP in 2013, Gregory Barker MP, the then Secretary of State for Energy and Climate Change commented that “around 230,000 households on low incomes or in low income areas will be assisted through the ECO scheme each year”. That all seems very worthy but the last estimate for the number of homes suffering from fuel poverty in the United Kingdom was almost five million, or around 19% of all domestic properties. With more austerity measures planned as the Government deals with Brexit negotiations, it is likely that many householders who are entitled to apply for a free boiler may not be successful. If you feel that you may be entitled to a Free Boiler Grant, you should apply immediately whilst ECO funding is still available.